The garage home is modern and minimalistic. The person who designed it has really thought about the space which the wooden block in the middle shows. 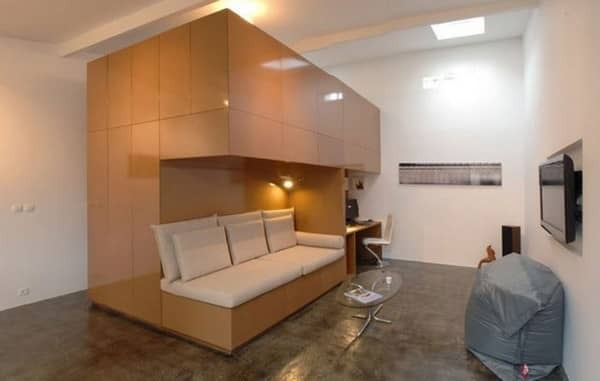 It has both a sofa and a desk in it and on the back of it, there’s a staircase that leads to a bed on top of it! The bedroom isn’t really a separate room – you go up a little staircase and then you arrive at this sleeping space. 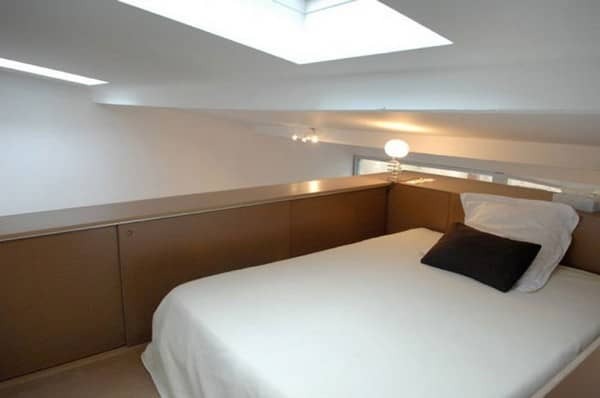 You sleep under a skylight in a cosy little nook. We love how well-used the space is because of this! The wooden structure looks sleek and modern and houses a sofa and a desk, but it basically adds another floor at the same time. Multifunctional! 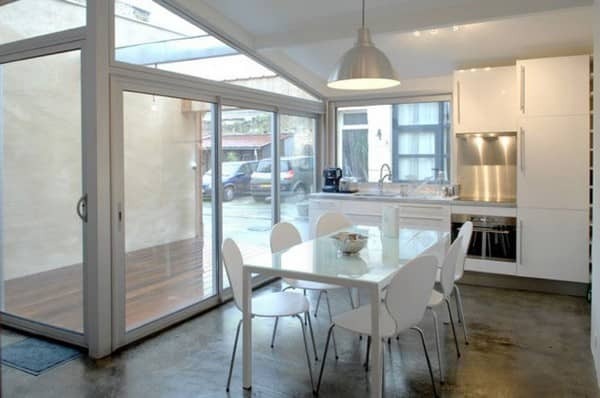 The kitchen is spacious with a ton of light coming in through the large windows, which make it look even bigger. There’s enough room for cooking a nice meal and you can entertain guests here as well. What do you think of this made-over garage? It’s perfect to rent out as a holiday home, but it also has enough space for someone to live in more permanently. We love it!